When providing infrastructure services to small and medium businesses that lack sufficient IT resources, one needs to be able to protect his or her customers. StorageCraft® ShadowProtect® provides superior disaster recovery, data protection and migration services. 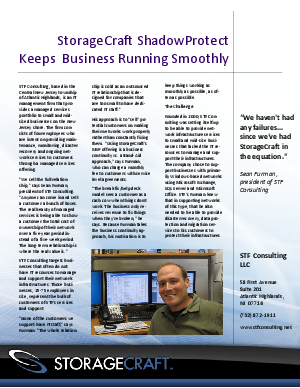 In this whitepaper find out what else StorageCraft® to help you protect your customers.